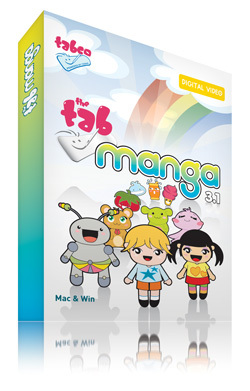 It is possible to draw characters and backgrounds, and use them in mangas and animations. Manga pages can be composed by defining panels containing drawings and text balloons, and arranging them the way you prefer. Animations can be done by creating drawing sequences and setting key positions to move automatically elements around. Now its up to you to create new adventures for your own heroes!